Yesterday I discovered an amazing tool: a publication for students providing them with information about Hungarian culture and history, the Hungarian higher education system, and other beneficial tips for surviving in Hungary. The booklet is about 100 pages long and is published by the Tempus Publication Foundation in Hungary and financed by the European Commission. As I’ve been meaning to “research” Hungarian culture and history, I think this is the perfect place to begin. The original publication can be accessed here, otherwise I will summarize my “most useful” points in my blog. 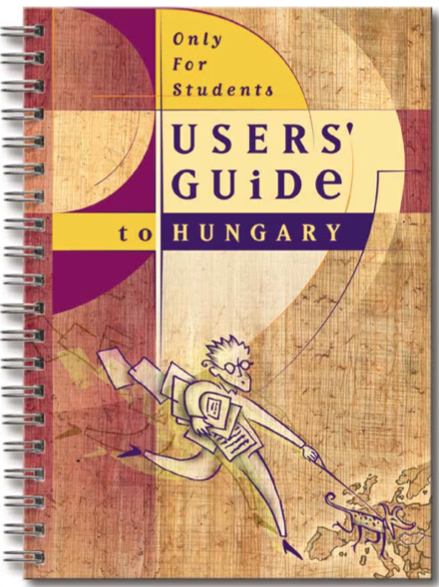 You are currently reading Student User’s Guide to Hungary at Buda-B.